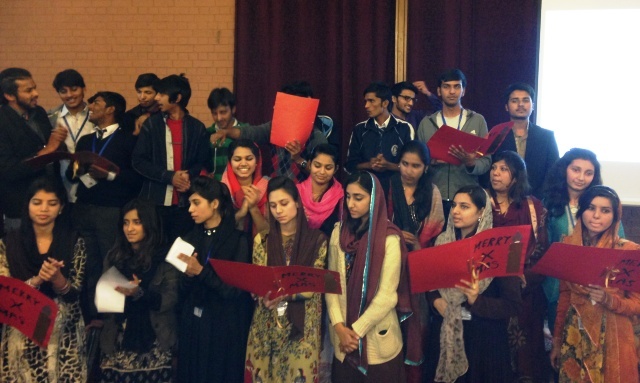 The Christian Life Program arranged a Carol Singing Service on 22 November 2013. Baccalaureate and Intermediate students as well as faculty and staff members participated enthusiastically in the service. The Carol Singing was just the beginning of a whole month of celebration. The service was led by students in which they read out passages from the Holy Bible related to Christmas. The hymns were sung in Urdu, English and Punjabi. It created a sense of solidarity and love.